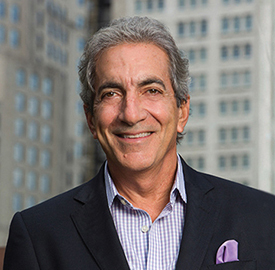 After 40 years in property management and development, George has earned the reputation of recognizing and foreseeing market changes in neighborhoods that create opportunities and value. He personally visits properties under consideration and does his own market analysis on the demographics and his sense of a neighborhood. He oversees the marketing of all retail leasing details, including matching the most appropriate tenant with the optimal space, negotiating business terms, design and approving capital expenditures. Through ongoing relationships with commercial brokers and principals of national chain stores and franchises, he has successfully negotiated and placed AAA tenants in the portfolio thus improving value and cash. George reviews and qualifies all acquisition candidates and is very active during their purchase negotiations. He has dedicated his career to develop and maintain a reputation of integrity and success for Pan-Brothers.